Once, at the beginning, you asked why you were brought here. This is what I told you: your parents made a deal. I would rid them of their plague of rats, and they would pay me. I cleared the town of pests, easily done, and returned for my payment. They laughed at me and tried to send me away with less than they promised. Money is not important. Deals are. 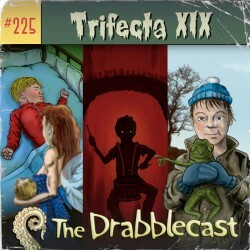 The theme of this episode of the Drabblecast is fairy tale child abduction. In David is Six, David cannot wait to be seven. In his desperation, he strikes a bargain with a fairy that appears to him as a talking toad and is taken to the fairy queen. The Best Boy, The Brightest Boy picks up where the Pied Piper of Hamlin left off, following the children and the Piper into his kingdom under the mountain where after a series of cruel games and tests, only one boy remains alive. He becomes the Piper’s apprentice. In Broken, a father stumbles upon a fairy in the act of exchanging his disabled child for her own enchanted brood. A heart-breaking decision follows. The ex-husband of the feature story’s titular frequent flier once told her that the key to not being found is to keep moving. It’s been years since her ex kidnapped their daughter, and our protagonist is determined to stay on the move, from one airport to the next. She meets a curious fellow searcher who refers to himself as the wandering Jew. Also included is a Bbardle, Radioactive Runaways, written by Norm Sherman for Eric Peters’ birthday, a gift made possible by the donation of his wife Janette. 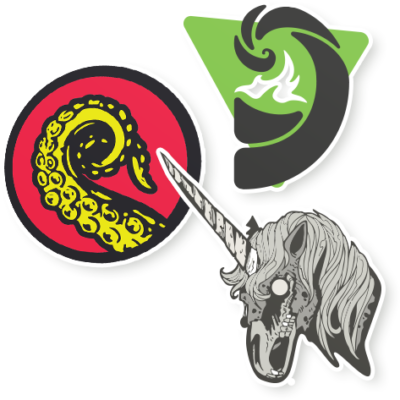 This episode of the Drabblecast podcast opens with a DrabbleNews story about immortal jellyfish, jellyfish that under certain circumstances can reverse the aging process. In the Drabble, a stalker cheerfully greets, drugs, and kidnaps the object of her desire. The feature story, Bemused, is a hack-to-riches-to-hack tale about a mediocre, rejected writer who discovers his muse and a catapult to fame and fortune. The only problem: his muse is a real jerk. 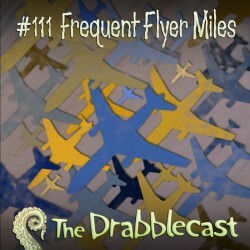 This episode of the Drabblecast opens an announcement introducing the Drabblecast Archive CDs, featuring episodes 1-79 in a 3 disc set. In the drabble, a sleep-addled God himself cannot (or will not) provide a reason for why the world ended. 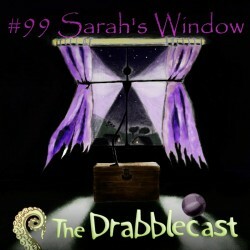 The feature story, Sarah’s Window, explores the familiar theme of children leaving our world for one of fantasy, with the twist of a distraught parent serving as protagonist. A single father tries to convince a trespassing, morally ambiguous shadow creature to return his apparently kidnapped daughter, Sarah, amid its assertions that it is innocent of wrongdoing since “not all lost things are stolen.” An otherworldly realm seduces with magical delights.